Remembering Jimmy J. O'Neal | Remembering Jimmy J. O'Neal | De Soto Obituary Search | Dietrich-Mothershead Funeral Home, Inc. Remembering Jimmy J. O'Neal | De Soto Obituary Search | Dietrich-Mothershead Funeral Home, Inc.
Memorial Service: Friday, October 5, 2018 at 5:00PM from the chapel of the Dietrich-Mothershead Funeral Home officiated by Bro. Bob Thebeau. 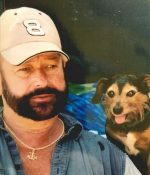 Jimmy James O’Neal Jr. was born in De Soto on April 7, 1946 a son to Hazel Marie (nee Wilson) and Jimmy James O’Neal, Sr. He died at his De Soto home on September 30, 2018 at the age of 72. He is survived by his wife Laura (nee Smith) O’Neal. Jimmy and Laura were married on July 14, 1984 in De Soto. Also surviving are six children: Kelly (Pete) House, De Soto, Jimmy J. O’Neal, III, Festus, Jimmy Paul (Teresa) O’Neal, Stockton, Katie (Brett) Thebeau, De Soto, Megan O’Neal, De Soto, and Colleen (Stephen) Gibson, De Soto; twelve grandchildren; 3 great-grandchildren; four sisters: Pam (John) Kincaid, De Soto, Peggy (Bob) Wallenbrock, De Soto, Sherry (Ron) Lynn, House Springs, and Blanche Helms, De Soto; and one brother: Michael O’Neal, Farmington. He is preceded in death by his parents; one daughter: Jamie O’Neal ; one grandson: David O’Neal; and one great-grandson: Tanner Thompson.